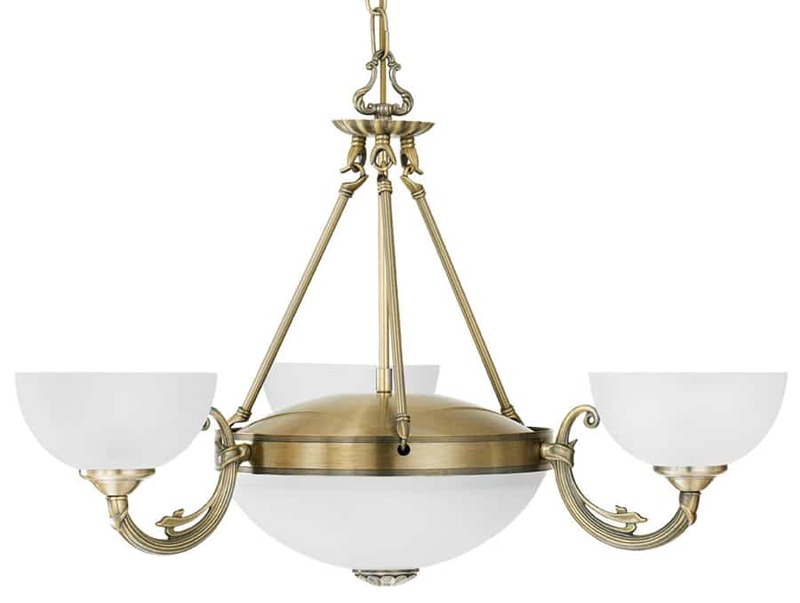 A highly lavish bronzed cast metal ceiling light with two and three lights and white satinated glass shades and central light bowl. 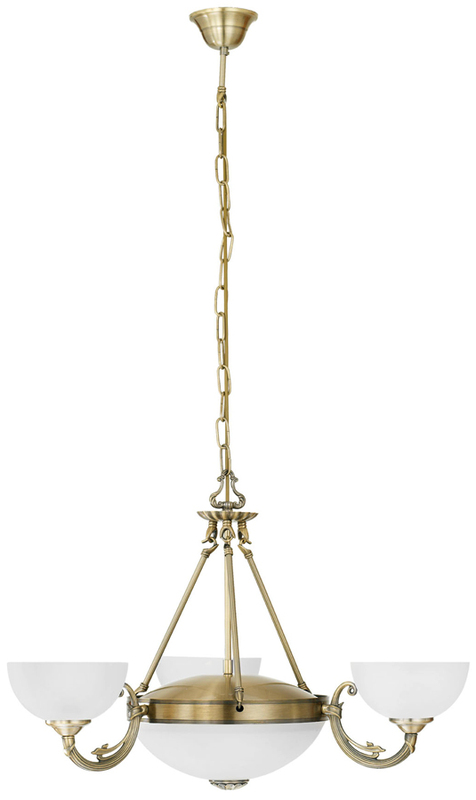 A spectacular light fitting with two lights in the central dish and three lights on the curved scrolled arms. 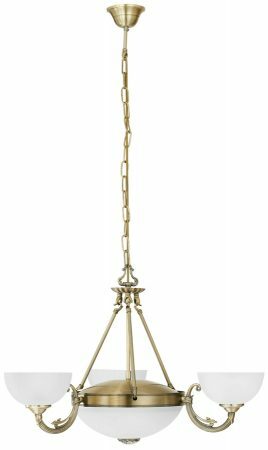 A beautifully ornate lighting range that will make a strong or vivid impression in a traditional setting. Height adjustable at time of installation only.